Everyone knows that sleep, water and eating less junk helps to reduce dark circles under the eyes, but if you’ve done all that and your bags are still a problem, read this. We asked skincare and makeup specialists to share their tips for getting rid of dark circles for real. You might not have sensitive skin, but as Alison Wait, Senior Education Manager at Medik8 explains, the skin around your eyes should be treated as such. “The skin around the eyes is a little different from that on the rest of your face. It’s more delicate and vulnerable due to a slightly thinner structure, and a lack of oil-producing sebaceous glands make it less moist and supple than the rest of the skin, creating less of a protective skin barrier.” Harsh makeup removers and excessive wiping can cause inflammation and dry out the skin so gentle products are a must. 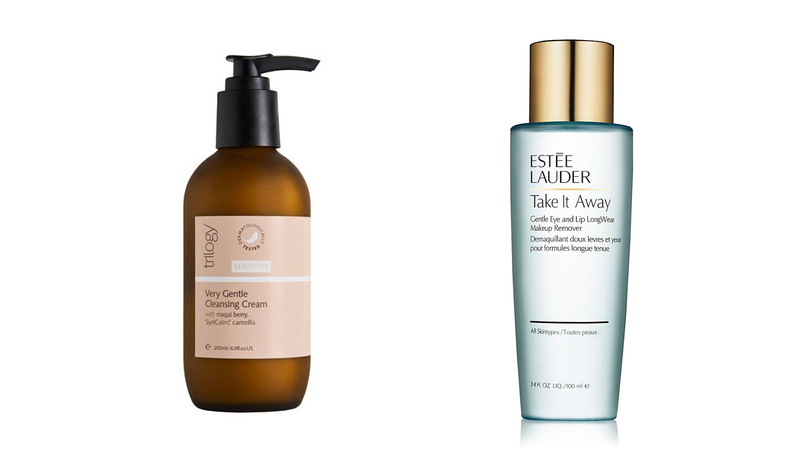 bh loves: Trilogy Sensitive Very Gentle Cleansing Cream, $46.99; Estee Laudee Take It Away Gentle Eye & Lip Longwear Makeuo Remover, $56. The eye area used to be a no-go zone with retinol, but modern formulations have made it safe. “Not only improving the appearance of fine lines, wrinkles and dark spots, Medik8’s Retinol Eye TR provides the eye area with a brightened, revitalised appearance,” says Alison. 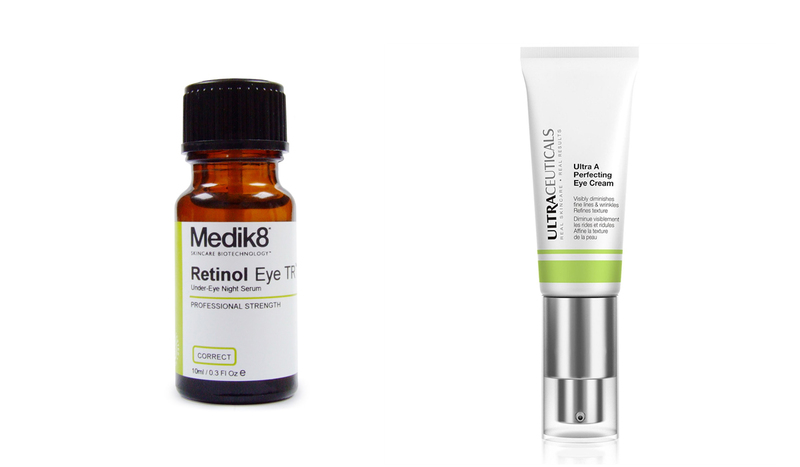 bh loves: Medik8 Retinol Eye TR, $129; or Ultraceuticals Ultra A Perfecting Eye Cream, $120. Some people can have dark rings under the eyes due to allergies but not even realise that’s the cause. If your bags are severe it’s worth getting an allergy test. Taking a mild antihistamine before bed will quickly tell you whether it is allergy related as you’d see an improvement by morning. Give your skin all it needs to repair while you sleep by using a richer eye cream at night. 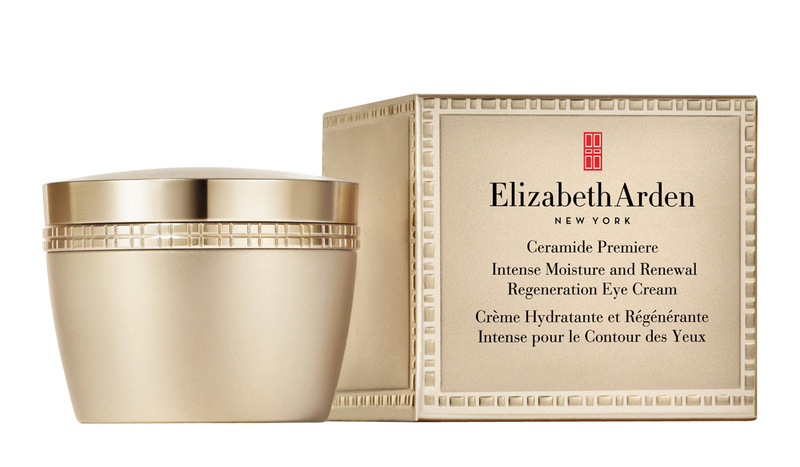 bh loves: Elizabeth Arden Ceramide Premiere Intense Moisture and Renewal Regeneration Eye Cream, $121. Peptides are the vital ingredient you need in your eye care routine as they urge the skin to create more collagen. “When cell communicator actives [peptides] are added to the skin, they get absorbed and connect with various receptor sites within the skin. Specific peptides will ‘hook up’ on the cell receptors, and, in the case of fibroblast cells, will communicate with it to produce more reticular, collagen and elastin fibres,” explains Alison. bh loves: Medik8 Eyelift Age-Defying Eye Firming Gel, $99. So you’ve got your Sunday night face mask routine, but what about the eyes? Eye patches deliver both immediate and long term results. “Many patches on the market deliver a high concentration of actives such as hyaluronic acid, peptides and plant extracts, all chosen specifically to treat the delicate skin around the eyes by softening lines, reducing puffiness and helping to lighten under eye circles,” says Alison. 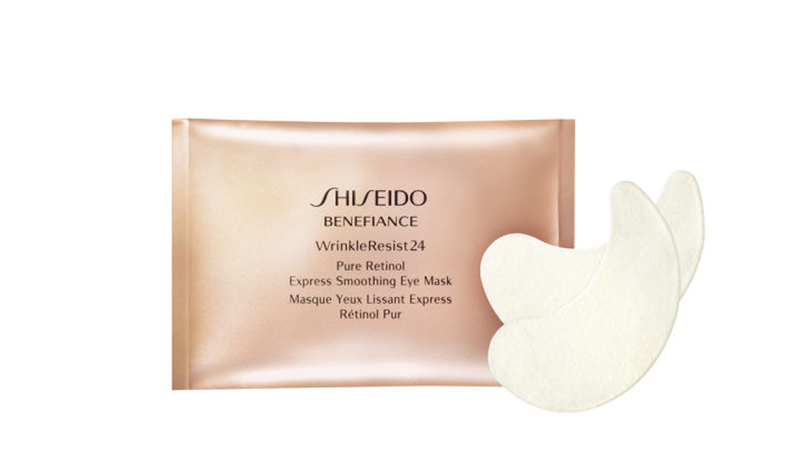 bh loves: Shiseido Benefiance Wrinkleresist24 Pure Retinol Express Smoothing Eye Mask, $95. For instant puff reduction before an event, roll out grandma’s tea bag technique. Tea contains caffeine, and caffeine — being a diuretic — is an instant solution to water retention under the eye area. Activate the tea by soaking them in boiling water for a few minutes, and allow to cool before placing them on your lids. Know that splitting headache you get after a night on the rosé? It’s dehydration. Alcohol is one of the worst dehydrators out there, so try to reduce your per day intake, and if you can’t, then at least up your evening water intake to (partially) counteract the damage. Try Osmosis Harmonized H2O Hangover ($78) with frequencies that balance alcohol vibrations and allow for the normal function of cells after alcohol consumption. bh loves: Osmosis Harmonized H2O Hangover, $78. Collagen production slows down as you age. Taking supplementary collagen will help keep your skin plump and reduce the appearance of dark circles. 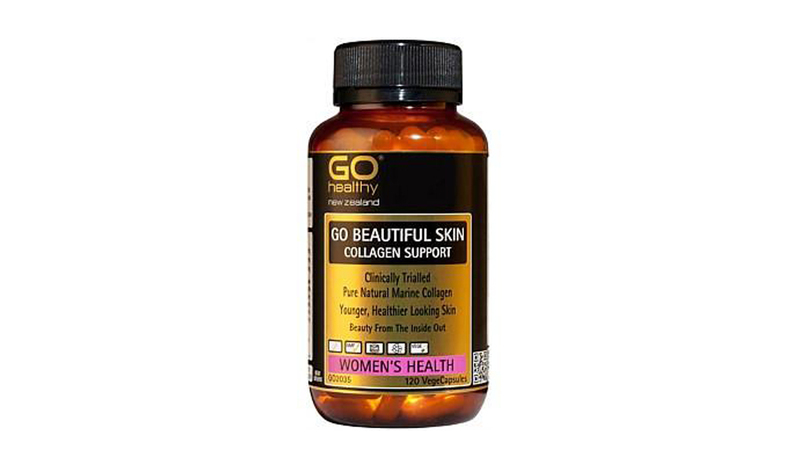 bh loves: Go Healthy Go Beautiful Skin Collagen Support, $49.90. 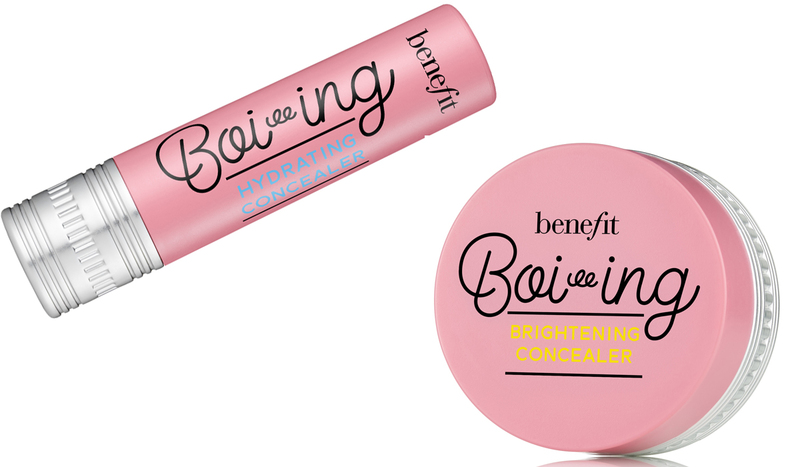 bh loves: Benefit Boi-ing Brightening Concealer $38 and Benefit Boi-ing Hydrating Concealer $38. 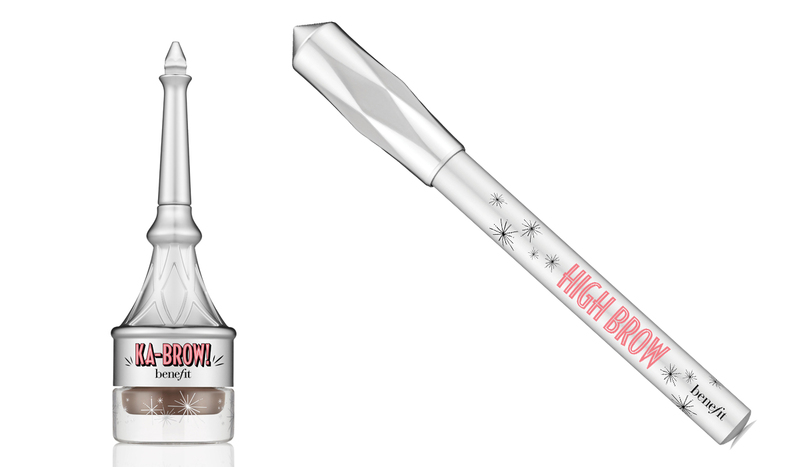 bh loves: Benefit KaBrow, 44 and Benefit High Brow, $38.